Got bad breath? It shouldn’t be ignored. Bad breath can be a sign of a dental or medical disease. Conditions such as unmanaged diabetes, acid reflux, or an untreated infection can present as bad breath in the early stages. A dental care professional can offer treatment options and help you identify the root cause of the condition. Don’t let bad breath slow you down—talk to an affordable dentist in Philadelphia and get treatment. The eight tips below can help you minimize bad breath until you can get professional dental care. 1. 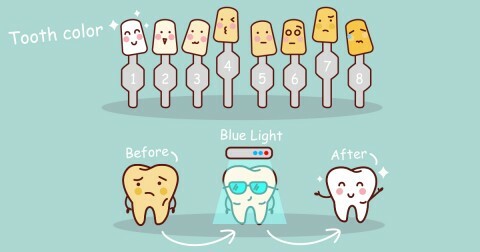 Increase brushing and flossing frequency. Plaque and tartar buildup are primary causes of bad breath. This buildup of sticky bacteria can lead to foul odors in the mouth. 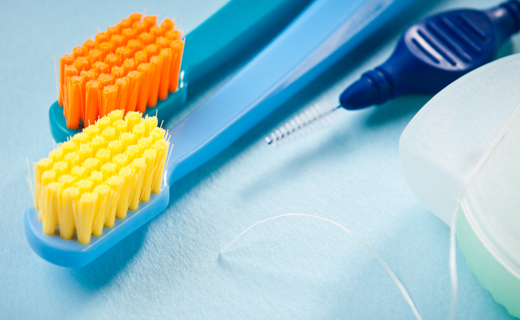 If you have concerns about bad breath, consider brushing after each meal, rather than just twice a day. 3. Skip foods that lead to bad breath. Brushing your teeth can’t get rid of odors from foods like onions and garlic. Although these foods are good for your health, the pungent odors will make their way into your bloodstream and travel throughout your body, coming out through your pores and breath. If you want to prevent these odors, it’s best to avoid these foods altogether. If you can’t be deprived of these flavor-enhancing foods, limit intake 24 to 48 hours before social events. 4. Stop using tobacco. Looking for reasons to stop smoking? How about the fact that it causes bad breath? Bad breath is a guaranteed side effect of smoking. Smoking damages gums, stains teeth, and increases your risk of oral cancer. 5. Choose sugarless gum over mints. Sugary hard candies, like peppermints and restaurant mints, promote the bacterial growth in your mouth and actually contribute to bad breath. Opt for sugarless gum instead, which will promote the production of saliva and contains xylitol, both of which can reduce the oral bacteria that cause bad breath. 6. Care for your gums. Just like your teeth, your gums need care, too. If bacteria gather in open pockets in the gums or between the gums and teeth, bad breath can result. Gum disease is a serious condition and should be promptly addressed. See your dentist in Philadelphia if you suspect you are suffering from gum disease. 8. When all else fails, see your doctor. Bad breath is often an early sign of medical conditions. If your bad breath persists, see an affordable dentist for treatment.